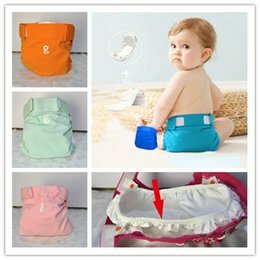 Thinking about using cloth diapers? You’ll definitely want a diaper sprayer – don’t spend more, make your own! Here’s a great tutorial on how to make your own DIY diaper sprayer! One of the most dreaded parts of cloth diapering, to newbies at least (it definitely was to me), is the poopy diaper. At first you worry about the “ick” factor and then it evolves to the “oh, no, my beautiful diapers are stained!” factor. A diaper sprayer will help both of those concerns. I’ve read numerous times that if your baby is exclusively breast-fed (EBF) that their poop is water soluble and can be put directly into your washer. I don’t know about you, but I still thought it would be better to get as much poop off as I could before going into the washer. So, when I decided to cloth diaper Sophia, I started researching diaper sprayers even though she was EBF in the beginning. 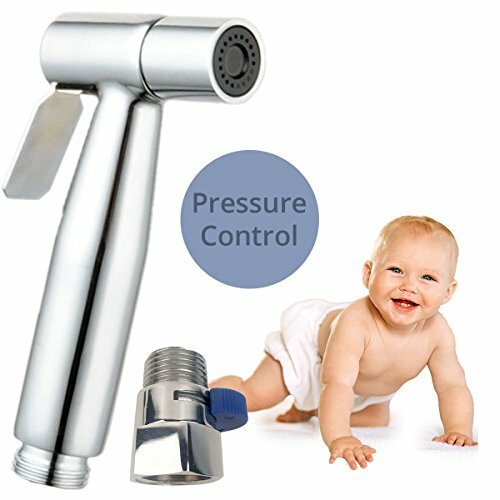 What is a Diaper Sprayer? It’s essentially just a kitchen hose faucet attached to your toilet. It can be used for a number of things, I suppose, but in this case, we’re talking all about cleaning off solids on cloth diapers. There are lots of different diaper sprayers available online on places like Amazon, but they all have one thing in common… they are quite price-y! Honestly, they are worth every penny, so if you can afford to buy one, I totally would recommend that route, but… if you are a DIY-er or have a DIY-er as a hubby (like I do! ), you can tackle this simple project in a few hours and be successful! After some research, I came across a tutorial that we used. Unfortunately it is no longer available online, but I did recently find this tutorial, which is pretty similar. It is SO easy to understand and I love the pictures of the parts you need to buy. I even printed them out and it made the shopping trip MUCH easier when we got to Lowe’s. I bought an over-the-door hook and hung the sprayer on it, to keep it out of the floor. In all, we spent $26 on our DIY sprayer!!! We’ve had our diaper sprayer installed now for around 7 months. It has never leaked and has great pressure. The only issue I have is it sometimes has TOO much pressure, so I’ve gotten good at how to hold the diaper while spraying. Update: Our diaper sprayer was installed in our previous home for 4 years before we moved. It worked great the entire time. Why Should You Use a Diaper Sprayer? I truly think that my DIY diaper sprayer is one of the reasons that I’ve never had serious battles with stains during our 7 months of cloth diapering. It’s definitely one of the reasons that I was never concerned with the yuckiness of poopy diapers. You can learn even more about dealing with dirty cloth diapers in this post. If you do happen to get stains on your inserts or covers, just put them out in the sun (wet is best) and let the sun bleach them! You are never supposed to use bleach on your diapers with PUL and besides, letting your diapers shine in the sun is such a prettier sight and smell (than bleach) and much green-er! Get more information on how to naturally bleach stains in your diapers with the sun here. 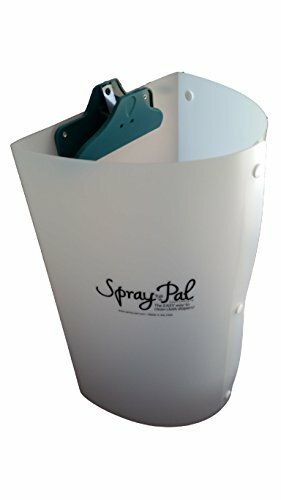 One recommended cloth diaper accessory that I see paired with a diaper sprayer often is the Spray Pal. It’s similar to a clipboard with sides and is made to hold the diaper over your toilet and keep any “splashing” from your DIY diaper sprayer to a minimum. 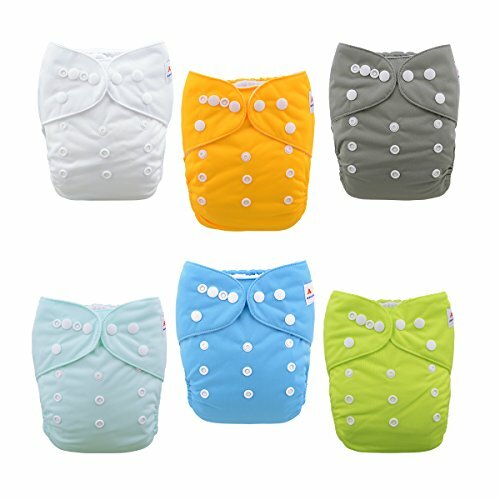 I haven’t ever tried one myself, as I got pretty good at holding the diaper with minimal touching and no splattering, but it looks like a great affordable option for cloth diaper users. Lack of water pressure could be caused by the sprayer head. We had a regular kitchen sink sprayer that was pretty good. Then my husband got a more commercial type sprayer head and the water pressure improved greatly! Good luck!! 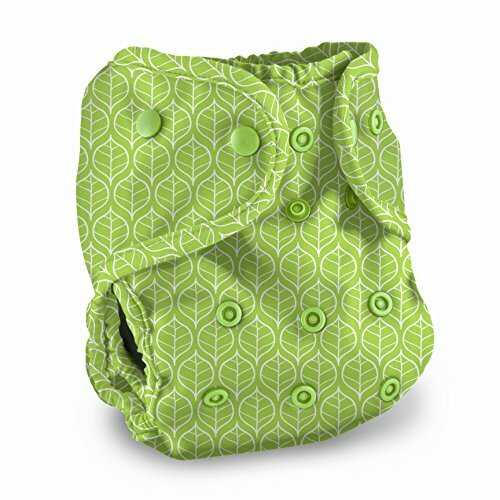 I so want to cloth diaper my 3rd baby after buying cloth pull up blueberries for my 2nd. Maybe I can convice my hubby now. I followed to diy instructions. But there is barely any water pressure. I don’t know what to do to fix it. I’m really tempted to just buy a diaper sprayer. I need water pressure or else it’s all been a waste. And i love the idea of using one. Any advice? I’m sorry, Kristi – I don’t have much advice as my husband was the one that installed with their directions. I hope you can work it out. Our sprayer is still attached and going strong after 4 years. Thank You! I love cloth diapering and didn't want to spend $40 on a diaper sprayer. I am heading out to get the parts I need to do it myself! What did you use to hold the sprayer on the toilet tank?